Writer/director Harry Essex wrote two acknowledged classics of the underwater monster genre, The Creature from the Black Lagoon (1954) and Octaman (1971). One year after Octaman, he would co-write and direct another classic, the less well-known The Cremators (1972), a film that deserves mention along with the other Harry Essex classics. Not all your universe's critics agree, unfortunately...for them. Reviewer BA_Harrison writes, "Essex's direction is lifeless, Howard makes for a bland protagonist, and the film's visual effects are far from special." Reviewer azathothpwiggins writes, "Absurd and terminally dull, this movie is only for those few, brave souls able to withstand a severe brain hammering!" And reviewer leofwine_draca writes, "The special effects are awkward and unsatisfying, and not even cheesy enough to be amusing, while the constant focus on little rocks is laughable. Needless to say that the performances from the no-name cast members are wooden in the extreme." 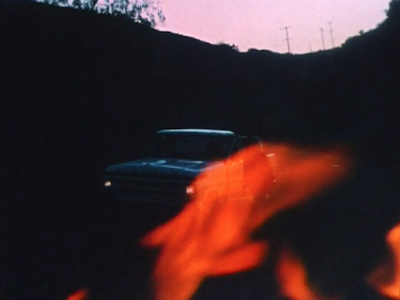 We see, rather shockingly, the Indian running along a dirt road, chased by a massive yellow fireball. Eventually, the fireball catches him and turns him into ash. The film cuts to the modern world of 1972, where a young man runs along the beach, tossing a stick into the air and frolicking. From somewhere, he grabs a black cat and tosses it into the air, much to the chagrin of the cat. Later, Iane drives into town to mail a package—which appears to contain a tin can holding two of the “rock crystals”—from California to Ann Arbour, Michigan. When the postman drives the mail to another town, the rocks start glowing inside the package, somehow calling the giant fireball, which rolls over the car and the postman, cremating both. The dust blows away in the wind. Fortunately, however, the postman’s dog Millie escapes. Somehow, the mail was just singed. The sheriff and the town doctor give Iane’s package back to him, and he goes back to sitting by the edge of the lake investigating the ecology. Later, Iane meets Jeannie, someone he knew in school. “You sure have grown up,” Iane says. “It must get lonely out here,” she replies, referring to the fact that he lives alone inside a lighthouse. 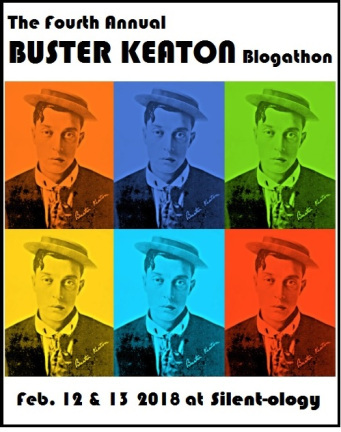 “With all my insects to keep me company,” he replies, “it’s busier than Main Street in Muskegon.” (Muskegon, Michigan, an important part of Buster Keaton’s early life, must be a busier place in your universe than in mine.) He gives Jeannie one of the dangerous rocks, while still planning to mail the other one to a scientist in Ann Arbour. 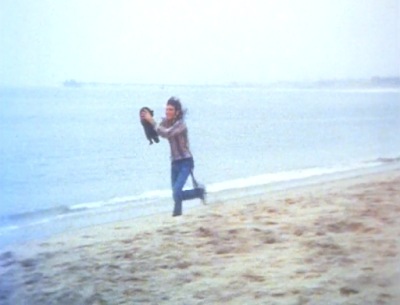 The opening of the film then intersects with the main story, as the hippie who tossed the cat in the air on the beach brings the injured cat to the lighthouse so Iane can help it. Tragically, however, the cat doesn’t survive, though Iane (an entomologist) continues to dig odd lumps of rock out of its body. Later, Iane finds Millie the dog outside his lighthouse, apparently injured. Knowing only one way to interact with animals, Iane cuts Millie open with a scalpel and removes more strange rocks from the poor dog. “They burned through her stomach,” Iane says over the short-wave radio to warn Jeannie to stay away from the glowing rock he just gave her. Iane and Jeannie spend the night on a boat. “You see me like I’m some kind of bug, right?” Jeannie says. “It’s what I want,” Iane responds even more creepily. After such romantic talk, Iane and Jeannie make love. Then Iane drives her somewhere, possibly to her uncle’s place, in his pickup truck. They see a light. “It looked like it was out there sitting on the windshield,” she says. “Heat lightning, maybe,” he says. He gets out of the truck. Neither mentions the blazing fire burning a few feet in front of the pickup. Nearby, a man walks along the highway in the middle of the night singing a folk song. He strikes a match on one of the magic glowing rocks, and suddenly a fireball rolls toward him, incinerating him. 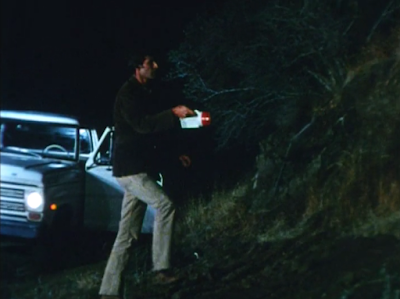 Iane discovers the unfortunate incident with the aid of his Fisher Price flashlight. He picks up the mysterious rock, using a handkerchief for safety, and puts it in his pocket. The next day, Iane performs a scientific experiment. He drives the new rock out to the ashes of the man who was killed last night and hits the rock with a large spoon. It disappears and he stumbles backward, apparently unharmed except for a slight invisible burn on his wrist. 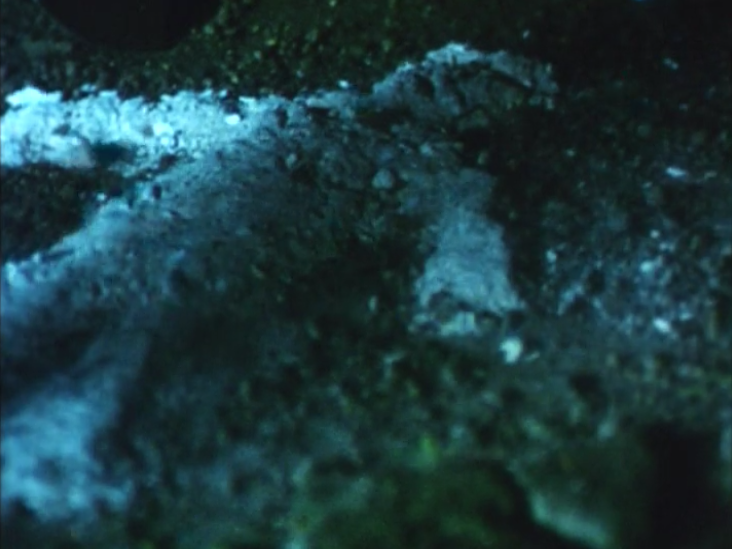 Then the rock appears again and starts glowing. 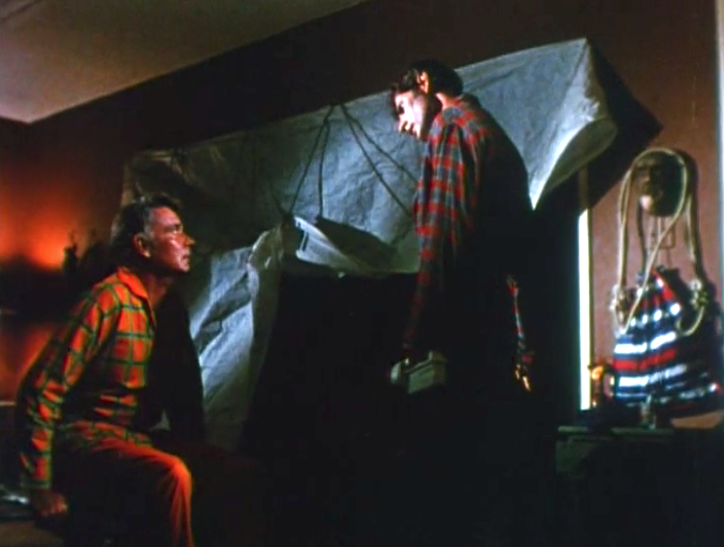 At night, the two scientists in their hip pajamas discover that two of the stones burned their way through the drawer in which they were kept and somehow strolled out of the lighthouse. The next day, they tell the sheriff about their discovery. He is initially skeptical, but considers the possibility. “Why would it kill?” he asks. Iane responds, “How do we even know it’s the same intelligence as ours? It may be as indifferent to us as we are, say, to insects.” He adds, somewhat confusingly, “And there are things growing on at least one planet in outer space.” He does not mention which planet, but the filmmakers cut to a nebula in space. 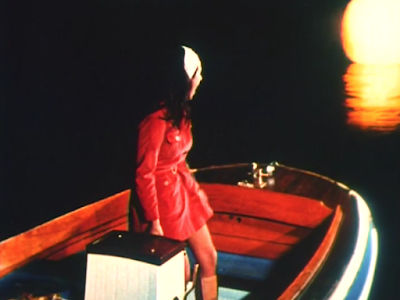 In a suspenseful sequence, Jeannie pilots a boat at night as the fireball emerges from underwater. It chases her boat and she screams. She contacts Iane via radio, and he reasons that the fireball is chasing one of the glowing rocks, which was stored in a box in the boat. 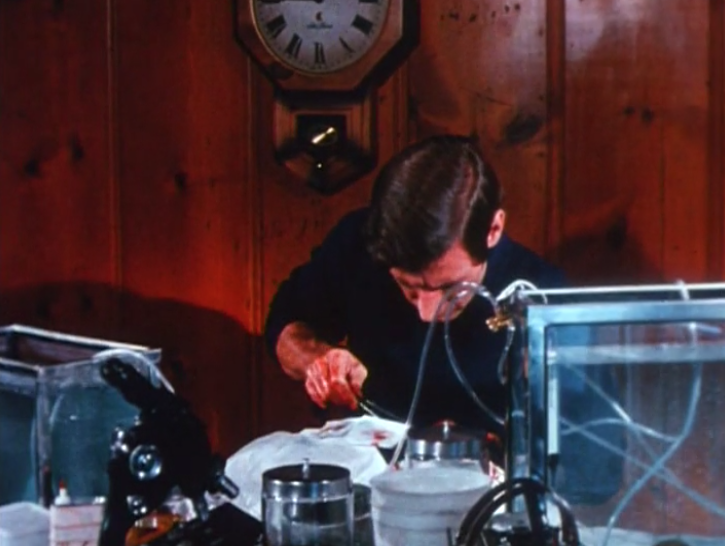 Iane tells Jeannie to throw the rock overboard, which she does at the last moment, though she is hospitalized in a hospital that resembles a studio apartment. With the help of the hippie who gave Ian his dead cat, Iane discovers that whoever touches the rocks has glowing residue on their hands, which allows the fireball to find them. 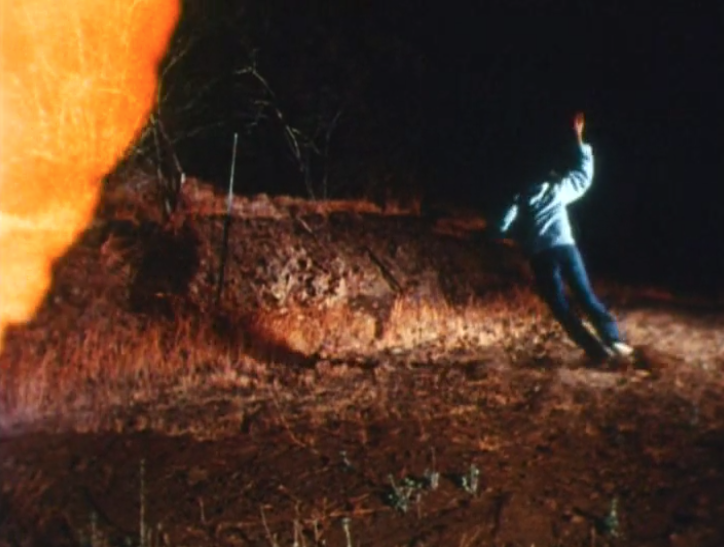 Willy then implements a plan to get rid of the alien rocks and their mother the fireball. He pilots the boat into the lake in the middle of the night with the rocks and a shotgun. When the fireball appears, he shoots it, but shockingly there is no effect. The fireball incinerates Willy. 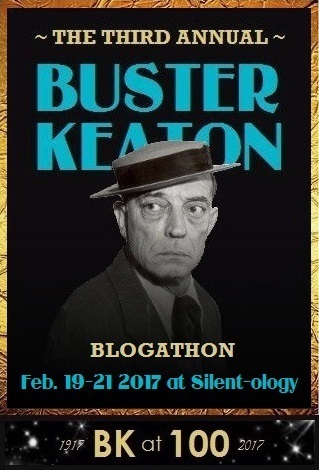 Despite Willy’s gruesome death, Iane decides to finish what Willy started. 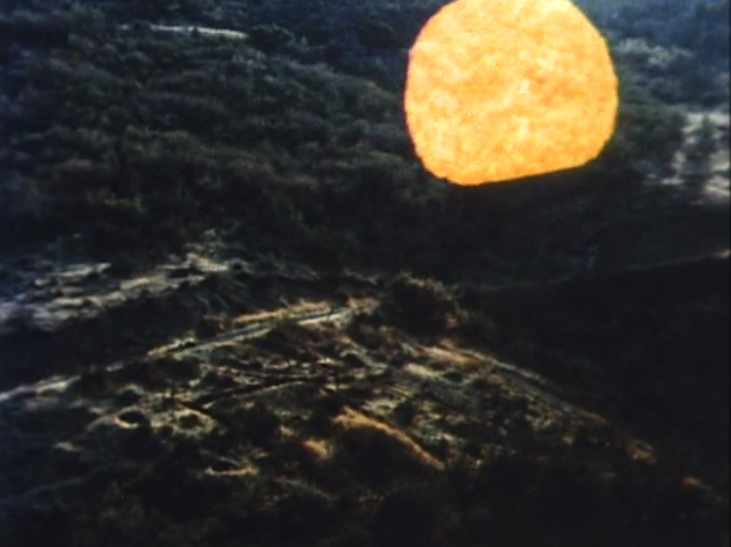 He uses a jar of rocks and his Fisher Price flashlight to attract the mama fireball. The process requires at least ten minutes of walking around the lake until he puts them in a circle in the dirt—and one of them starts to crawl away! 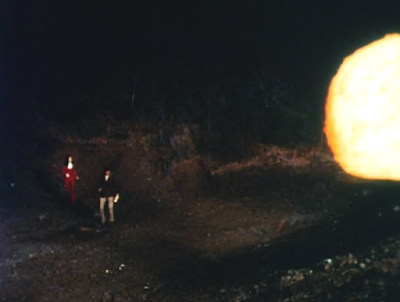 Iane wires a bomb near the rocks, and finally the fireball appears, unaware that both Jeannie and a posse of townspeople are wandering around the lake. In the end, Iane trips and falls on his face, but he detonates the bomb just in time to destroy the fireball and its rock babies. After everyone leaves, however, the rocks continue glowing and beeping.